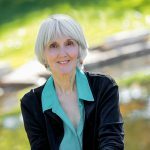 The author of the memoir, A Mother’s Reckoning: Living in the Aftermath of Tragedy on the humanity of kindness, the importance of suicide prevention and her prevailing love for her son. 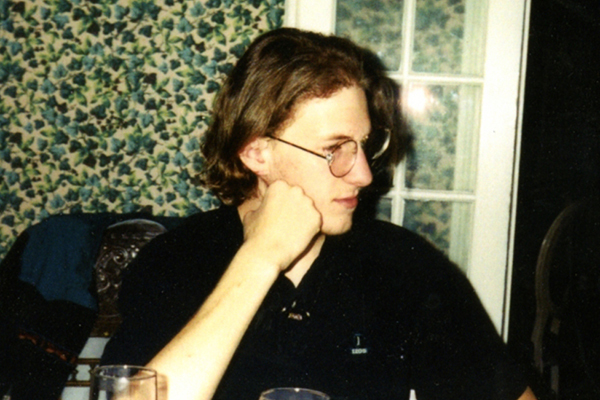 On April 20, 1999, in Littleton, CO, Eric Harris and Dylan Klebold entered Columbine High School and opened fire, killing twelve students and a teacher and wounding twenty-four others before taking their own lives. In the sixteen years since, Sue Klebold, Dylan’s mother, has had to live with the shame, guilt, grief, regret and unanswered questions surrounding her son’s actions. 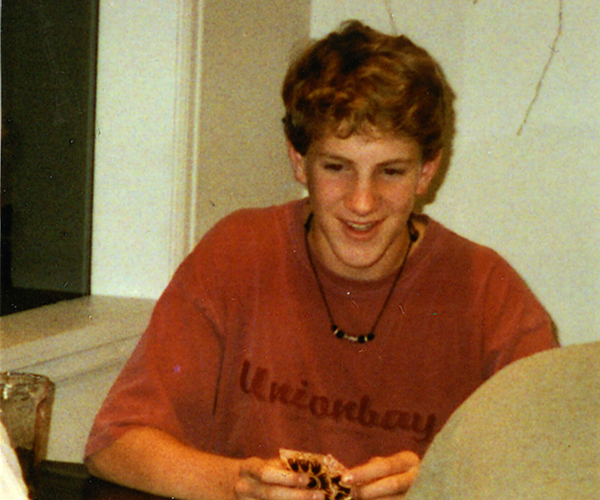 Read It Forward editor Abbe Wright had the chance to sit down with Klebold and hear firsthand about her journey back from tragedy. RIF: What is your hope in writing this book? Sue Klebold: I have many hopes. One of my hopes is that it will move the conversation forward about the need for better understanding of brain health and brain function. It’s also my hope that somebody will learn something they can apply to their own lives. If their loved ones are in distress, they may be able to recognize that and probe a little deeper and do something to help them before a little problem grows into a stage-four catastrophic illness. RIF: Why did the time feel right now? SK: It has taken me many, many years to feel ready to be able to [write this book]. I think the perceptions around mental health issues and behaviors are beginning to change. I’m sensing there’s more of a willingness to talk about what Dylan did in terms of his own mental processes rather than just assuming this is a character flaw or a parenting issue. RIF: You write in the introduction of your memoir, “By telling my story as faithfully as possible, even when it is unflattering to me, I hope to shine a light that will help other parents see past the faces their children present, so that they can get them help if it is needed.” Are you putting yourself out there as an example to parents in the hope that they may pay closer attention to their children and notice these small glimmers that may be cries for help before it’s too late? SK: Yes, that is my hope. Before Columbine happened, I had an unshakeable belief in my child’s goodness and healthiness, and I want to say to people: don’t trust your perceptions; they can be very wrong. If anything ever triggers suspicion that something is amiss, pursue it with diligence. Just asking is not enough; sometimes you have to go deeper. But do it with the understanding about what this kind of probing can do to your relationship and your trust in each other. It has to be done in a careful manner and it has to be done with love, thoughtfulness, and concern for the other person. Dylan, age fourteen, playing poker with Sue’s brother and sister. Courtesy of the Klebold Family. RIF: Was it difficult to write honestly and sometimes critically about yourself and the ways your reactions unfolded? SK: Sometimes it was. But the experience of having someone you love kill people in such a horrible, devastating way, is so humiliating anyway, that right out of the gate, the humiliation is overwhelming. So the willingness to take this risk and write as honestly as I could didn’t seem like such a stretch. RIF: In the years since Columbine, every time there is a school shooting, do you experience a fresh wave of pain? SK: It’s not pain that I experience. After so many years, I’ve gotten more detached and more analytical about it. I want answers. I always listen to hear if the circumstances were similar: Was it a suicidal death? How many people were injured? Had this person had trouble in school or with the legal system? At this point, I feel like I’m just trying to observe and learn from these things as they happen. RIF: I was struck by the way you write about the role the media plays in the aftermath of these shootings—how they paint the shooters with broad brush strokes, calling them “evil” or “monsters.” Can the media be damaging in these situations? SK: Absolutely. The way the media portrays tragedies like this has great power and we certainly know that the way the media does this can increase the chances that it will occur again. The more times they show a perpetrator’s face or what they were wearing, the greater the likelihood is that somebody will want to get that kind of notoriety and will attempt to copy it. Coverage has to be done very carefully. I’ve seen articles where they show the face of the perpetrator and underneath, the number of people they killed, which reads as an open invitation that says, “Top this number.” The media bears a huge responsibility and I think they should do a lot of self-education within their own organizations. RIF: After the shootings occurred, you were warned that a lot of people would blame you for Dylan’s actions and treat you with vitriol. But one of the most incredible things you write about in your memoir were the people who offered you and your husband kindness—a woman who decorated your porch with plants and flowers on the first Mother’s Day following the incident, or the pastor whose son was in prison who wrote to you. How did these small gestures of humanity help you move forward? SK: I am aware that there are people who are still very angry and full of blame, but we have not interacted with one another. What I have experienced is that my own family, my friends and colleagues have been wonderful, supportive and kind. Even strangers showed incredible compassion; I was so touched by people who reached out to me, who understood my situation—mothers of children on death row or, especially the pastor with a son in jail who consoled me when I felt like I’d really failed in my moral upbringing. I have been surrounded by love and I choose to seek out those places and those people where I will get that kind of feeling. 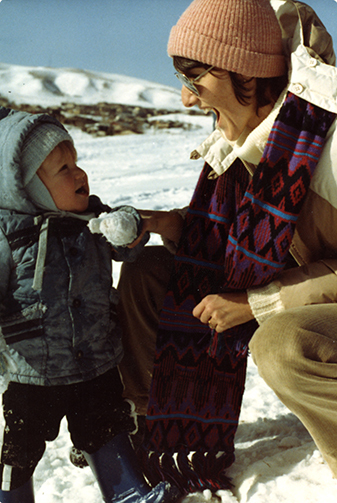 Sue, with Dylan as a toddler, playing in the snow. Courtesy of the Klebold Family. RIF: What, if any, good has come out of this experience for you? SK: I believe any kind of loss or hardship gives us an opportunity to learn. It broadens our world perspective. Certainly in my case, it made me more empathetic and less judgmental. It has connected me to a whole community of survivors of loss that I never would have been connected to otherwise. It’s given me a passion to try to make change, and, to me, to have a passion about something in this life is a gift. Those are some of the gifts that I think that have occurred as a result. RIF: What is it that you wish the families of the victims might take away from reading this book? SK: Well, I was a teacher for many years, and the funny thing about teaching is, that while you may have a lesson plan and you may have certain things you want to get across, often it’s the things that fall in between that are the lessons learned. In this narrative, my hope was just to lay my heart out on the table and see if there’s anything here that can be of help to them. RIF: After reading your narrative, what do you hope readers come away knowing about your son Dylan? SK: I hope readers will not simply write him off as a one-dimensional person, a flat picture of someone who was one hundred percent evil. Life is much more complex than that. Human beings are not necessarily all good or all evil, and to think that way is both self-deceptive and dangerous. RIF: You spend a lot of time in the book laying out what your family’s life looked like—you were, by all intents and purposes, a normal family who ate dinner together, who bickered, who played with LEGO. You are careful to point out that there weren’t dark scenarios happening at home that somehow pushed Dylan over the edge. Why was that so important for you? SK: I don’t want people to have a false sense of security in self-righteousness and think, Well, we do everything right, therefore something like this couldn’t happen to me. Because, I think, to a pretty strong degree, that’s who I was and how I thought before all this happened. But I have learned that if you think like that, then you’re not going to be alert to the fact that someone you love is very vulnerable. RIF: Tell me about the book cover. What does this image convey about your mother-son relationship? SK: I like this image because I spent so much of the time when Dylan was growing up just watching him be amazing. He was such a clever, precocious, smart little kid who could figure anything out—he could follow directions, he could fold origami, he could figure out any maze. I spent a lot of years while raising him just sitting beside him, watching him, because he impressed the heck out of me. So, to me, this photo really captures a lot of what our relationship was like. RIF: Has researching suicide and depression had any healing properties for you? Did further understanding feel cathartic in some way? SK: I think it does have healing properties. In speaking from the perspective of a mother who has lost a son to suicide, I have learned from the suicide survivor and loss communities, that there are phases to getting through this. During the first phase, you feel like a victim. You feel that it has all landed directly on your shoulders and you have no control over it at all. The second phase is when you begin to feel like a survivor. You think, I am going to make it through this. You reach out to other people who are struggling. You help each other, you look after each other, you bond and form relationships. Then, this third phase comes along where you want to be an advocate; you want to learn what happened and why it had to happen and why don’t we try to change something? To me, this process felt very natural in an evolutionary sense; we want to understand why someone chose to leave us, because it feels like they didn’t love us or they were rejecting us in some way. Suicide leaves you with a great sense of an unfinished loss. It was helpful for me to understand these phases and how they can affect your thinking; eventually I was able to not feel so rejected by Dylan. RIF: In the midst of all of your grieving for your son and the other victims, were you ever angry with Dylan? SK: Almost never. I had one moment of anger and that was when I saw the basement tapes. Dylan was using his rage to get fired up and to do this thing, but he was raging about things that, to me, weren’t significant. I remember feeling angry at him when I saw the tapes, but it passed very quickly. I realized that the kind of ranting and raving that he was doing was also a characteristic of what was malfunctioning in his thinking. And he was also trying to prepare himself to die, and he had to use the rage as a tool to do that. Dylan with family at a local restaurant, about three weeks before Columbine. Courtesy of the Klebold Family. RIF: Tell me about some of the work you’ve done to advance awareness about mental health and violence? SK: I’m on the board of the Suicide Prevention Coalition of Colorado, serving as the education chair at the moment, as well as co-chair of our statewide suicide prevention conference through that organization. I’m also a founding member of our local chapter of the American Foundation for Suicide Prevention and have become involved on the national level on the American Foundation for Suicide Prevention; I sit on their National Loss and Healing Council, as well as on the steering committee for the suicide prevention lifeline. I’m not looking to get credit for being altruistic. For me, this work feeds my soul, it gives me a community, and it gives me family. It makes me feel as though we are shoulder-to-shoulder, working on something that we all deeply care about. All author profits from the book will be donated to research and to charitable foundations focusing on mental health issues. To learn more about Sue’s charitable giving, visit AMothersReckoning.com. Image credits: Author Photo: © J-K Photography; Family images: courtesy of the Klebold Family. 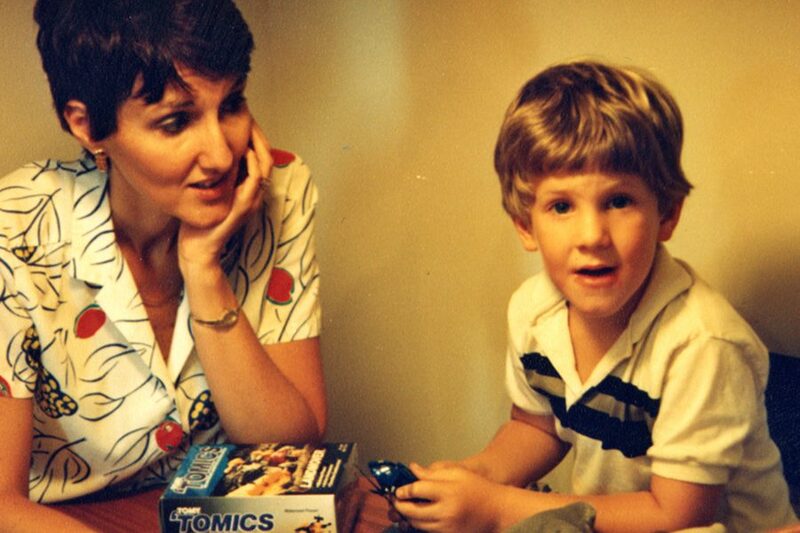 SUE KLEBOLD is the mother of Dylan Klebold, one of the two shooters at Columbine High School—a tragedy that saddened and galvanized the nation. She has spent the last 15 years excavating every detail of her family life, and trying to understand the crucial intersection between mental health problems and violence. 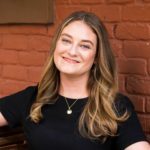 Instead of becoming paralyzed by her grief and remorse, she has become a passionate and effective agent working tirelessly to advance mental health awareness and intervention. A Mother's Reckoning: Living in the Aftermath of Tragedy is her first book.